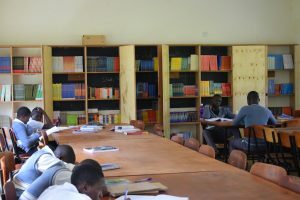 Following a governmental push over the last two decades, Uganda has made good progress in making education more accessible. Primary school enrollment has increased. Yet, despite continued efforts, many schools and children in rural Uganda still face challenges. Whilst access and completion of primary education has improved, many children do not continue to secondary education. In many areas, particularly rural communities, families struggle to afford school costs such as fees, uniforms and equipment. Families opt instead for their children to do housework, or find work in the community. Schools also struggle. Many face significant problems including a lack of teachers, insufficient funds and resources, and a lack of learning materials. 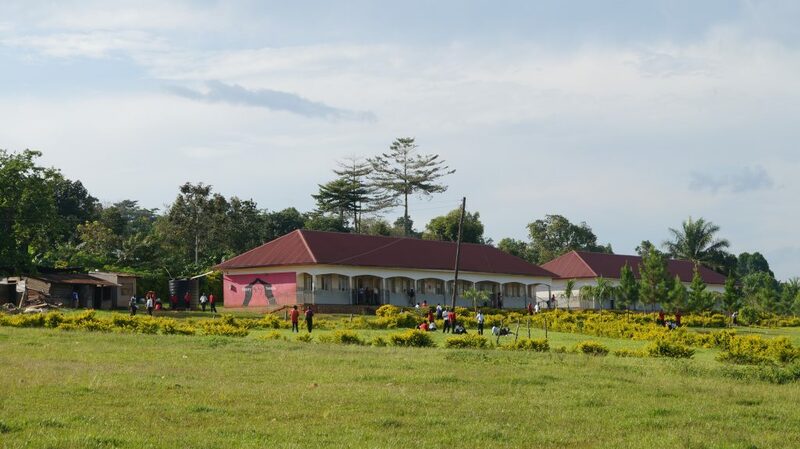 In Buikwe District, there was a significant lack of senior school places. Many children and young people weren’t going to school as there weren’t enough places at local schools, and even if there was a place, their families couldn’t afford it. Others traveled long distances across the district to go to school but the long journeys by foot or bike put children, particularly the girls at high risk. Many children therefore did not make it from Primary to Secondary School; they missed out on the benefits of an education. 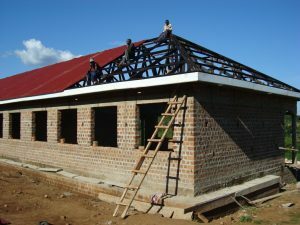 In 2009 we partnered with global advertising agency Ogilvy UK to build Buikwe Senior Secondary School to provide quality education to local children. Every four months, volunteers from Ogilvy raised funds and visited the programme to get involved with the work. Throughout the project, over 100 volunteers from Ogilvy UK assisted and fund-raised. Together they raised almost £200,000 for the school building and surrounding education initiatives. Building took place in stages, the school first opened in 2010 offering education for 130 students. 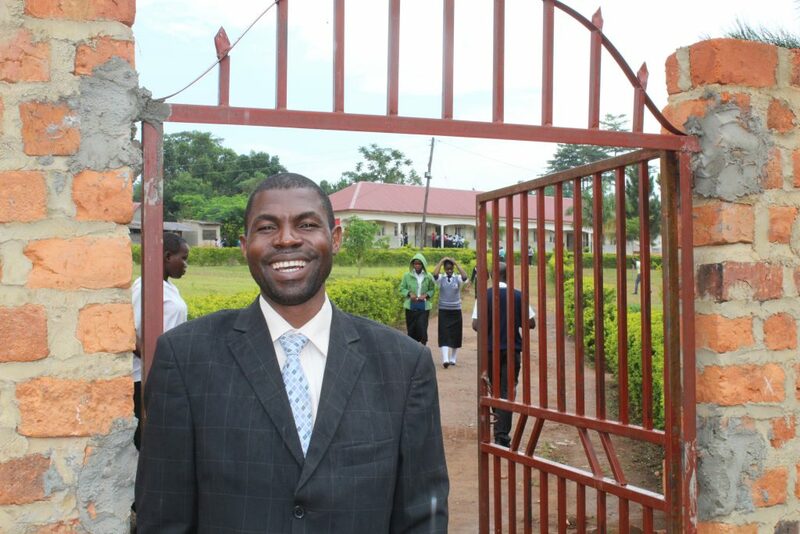 By 2016 the school had been extended to provide quality education to over 530 students run by a team of over 30 staff. The school also has boarding facilities for the children to ensure that no child had to make a dangerous journey to and from school. The school focuses on promoting access to quality secondary school education. In 2016 over 90% of the children attending the school were sponsored, most would not be able to pursue education without the support sponsorship provides. With the support from their sponsor, a child’s school fees are covered, and they receive a uniform, educational resources, basic medical care and school meals. International Needs Uganda are committed to providing high quality education. The school offers both a full academic curriculum and vocational training courses including baking, tailoring, construction and more. At Buikwe Senior Secondary School the quality of teaching is very high. Recently the school has won two awards; one for having the best sports team in the area and the other for having the best academic results in the area. In 2013, the school produced the student with the best grades in the district. There is always a focus on keeping training and resources for teachers up to date; one teacher has even taken a distance learning course from Oxford University in English Literature. Teachers from the school have also recently taken part in our disability inclusion programme to improve and promote the accessibility of education to children with disabilities in Buikwe District. Whilst the school was completed in 2016, our partnership with Ogilvy UK is ongoing, and they are now involved in supporting our livelihoods programmes in Nepal. Ogilvy are supporting an extension to the Lydia Centre which is home to our Lydia Womens Empowerment programme, and our Livelihoods programme in Sindhupalchowk district supporting families in their recovery from the 2015 earthquake.